Bob, in regards to your question of the veracity of recent anthropogenic forcings, It is worth noting that Meehl (which is a ludicrously dated reference anyway) and all other attribution studies have made use of unrealistic aerosol effects to mask GHG warming (the sulphate line in the above figure) and that particular study doesn't even include some very important anthropogenic forcings. I can't remember the reference, but black carbon soot was recently shown to have 60% of the forcing effect of CO2, which is much higher than even more recent "attribution" studies have used, and a recent paper by Chylek and Lohmann using new aerosol estimates from sattelites got general less warming from CO2 than most models suggest (presumably because they had lower estimates of negative aerosol forcing and greater "clearing of the air" in recent years) in any case, the issue of non-GHG forcings, even anthropogenic ones, is hardly solved. So, basically, you are absolutely right to question them. So there hasn’t been the anticipated rise in global temperature because, after you remove the effects of ENSO, the trend is zero. Therefore, if this year is a record year, it should be attributable to ENSO, not AGW. 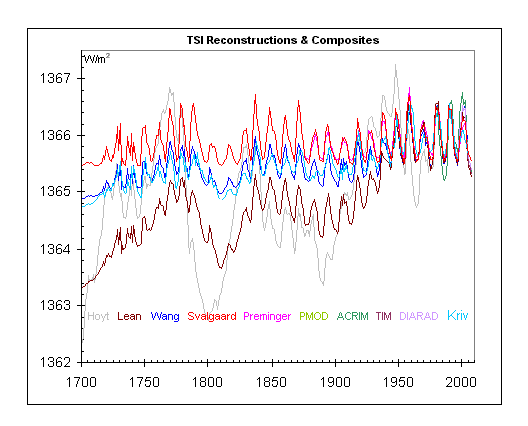 Also note that Knight et al (2009) assume the relationship between ENSO and global temperature is linear. It is not.